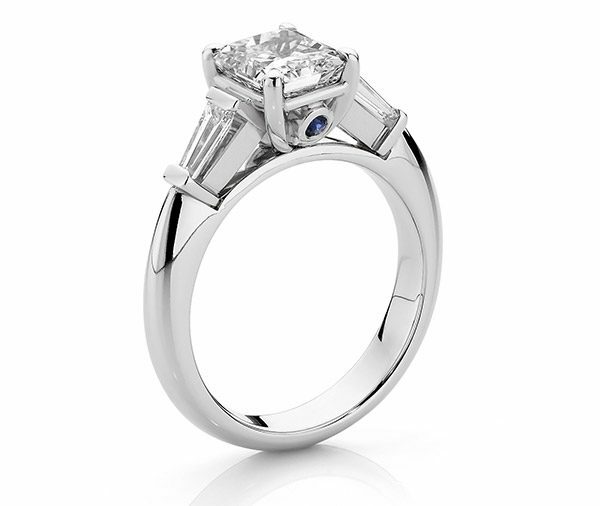 The radiant cut diamond sits in a four claw “U” style setting with an angled end set tapered baguette cut diamond in each shoulder. A round ceylon sapphire is hammer set either side and beneath the main diamond setting. A tapered high domed band joins the shoulders. 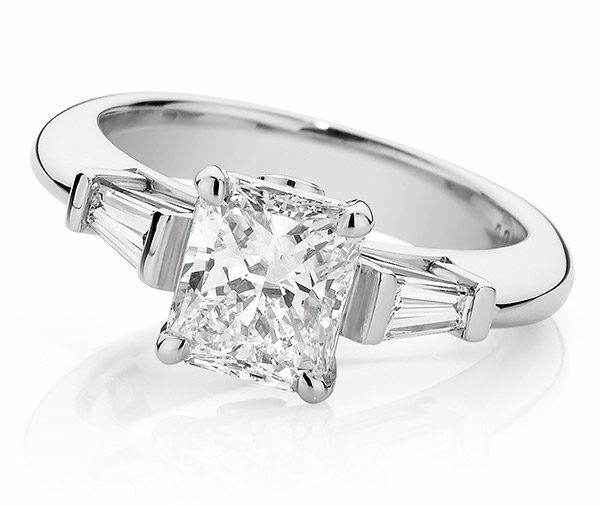 Model image features centre 1.20.ct princess cut diamond set in 18ct white gold. Available in platinum, 18ct white, yellow or rose gold or any other precious metal combination.